Posted in: Art, Music, Nature, Photography. Tagged: 15th century, albarello, Aria, Drug Jar, earthenware, First Cool Hive, Italy, mining carrara marble, Moby, Nelson-Atkins Museum of Art, Pesaro, Theme From Armageddon, tin glazed (maiolica), Trevor Rabin, Yanni. Pharmacies were great patrons of maiolica potteries from the early fifteenth century onward. Usually housed in monastic hospitals or royal residences, pharmacies often commissioned large sets of matching jars which were displayed in rows on shelves around the walls. Each jar was marked with the name of the drug it contained. 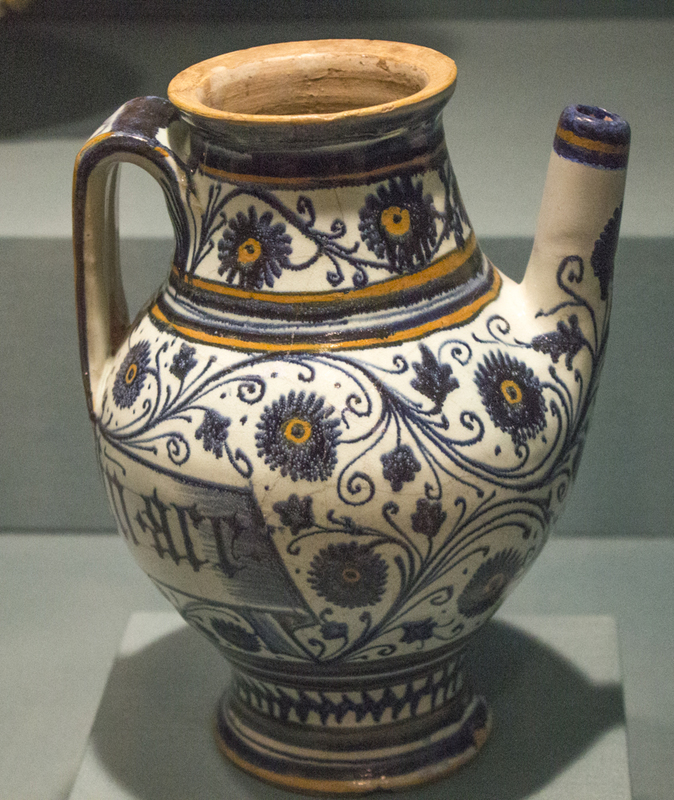 Spouted jars were used to store and dispense liquid medicine. Early examples were closed by tying parchment over the top. Larger than I’d have guessed. Lovely piece. So fascinating! So much detail and work went into these. Must have been the world’s most beautiful pharmacies.